Band alum Chris Halloran marched euphonium with the Minuteman Band from 1997-2000. Also a George N. Parks Drum Major Academy (DMA) grad, Chris (a Hasbrouck Heights, NJ native) developed an early interest in the UMMB. 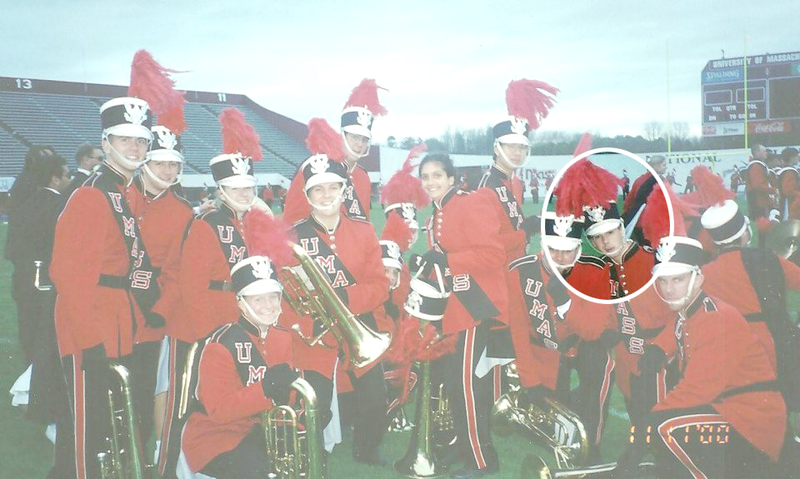 Once he saw the UMMB at the Collegiate Marching Band Festival in Allentown, PA, UMass Amherst went to the top of his college wish list. 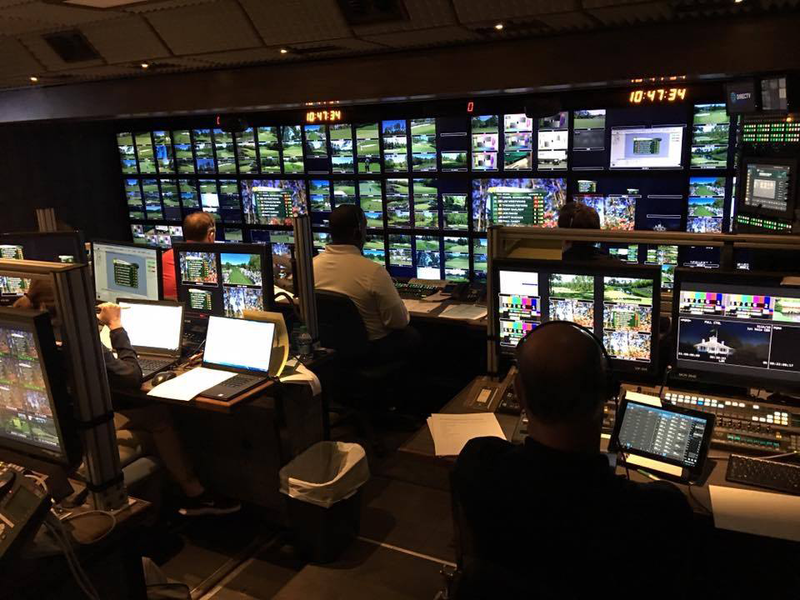 The rest is history, but let’s start Chris’ story by telling you he’s been awarded with not one, but two EMMYs for his work producing video for live sporting events: CBS Golf and Super Bowl LI (see photo above). At UMass, Chris got a job in the campus television studio. 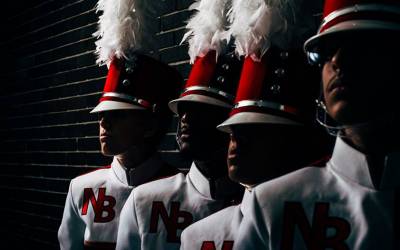 During the summer and winter, band alumni Linda Hannum ’83 and Jason Freedman ’92 introduced Chris to the company that produced the souvenir videos for students and performers of DMA, Drum Corps International (DCI), and College Bowl games. 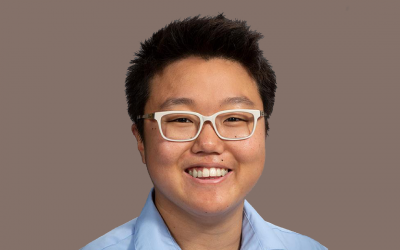 He spend a few weeks filming the Boston Crusaders and Santa Clara Vanguard drum corps, and West Chester University and UMass Amherst Drum Major Academies. Chris also worked on video production for Alamo, Orange, & Sugar Bowl halftime shows. A Bachelor’s Degree in Individual Concentration (BDIC) major, Chris organized his concentration in Broadcast Engineering. 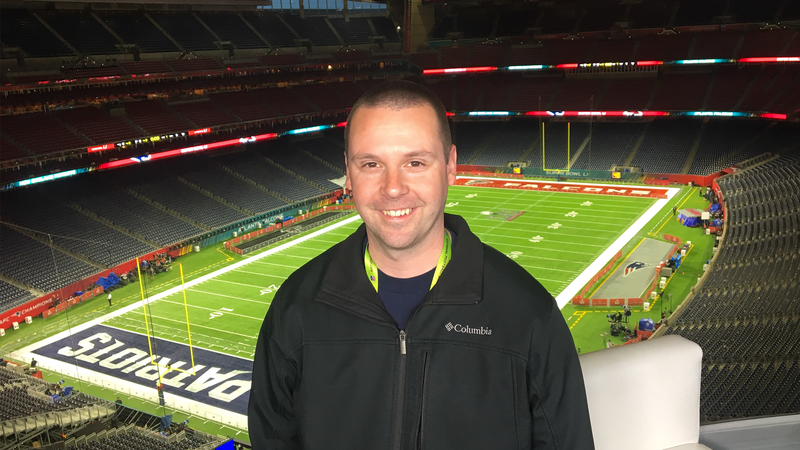 The spring semester of his senior year, Chris got an internship with a company that hires television crews for most of the sports broadcasts in New England. Most days that semester would find Chris in Boston or Hartford shadowing crew members who put on the productions. Like most people just getting into television, Chris thought he wanted to be a Camera Operator. The time he spent shadowing the different crafts taught him his skills would be best suited to a technical career. That’s how Chris built his career as a Broadcast Video Engineer. One benefit to being a freelancer, is that I have been so fortunate to be a part of shows that I had never dreamed of working on. Highlights include five Super Bowls, three Presidential Inaugurations, three Presidential Debates, four State of the Union Addresses, The Late Show with David Letterman, The Masters, PGA Championship, World Series, NBA Finals, NBA All Star Game, College Football Bowl Games & Championships, Macy’s Thanksgiving Day Parade, The Rolling Stones, Bruce Springsteen, and others, including the 2018 Rose Bowl game. In 2003, Chris also produced video for then UMass Amherst Chancellor John V. Lombardi’s inauguration. Well, we’re proud of you Chris. And excited that the Minuteman Band family is making an extended impact on the Tournament of Roses. 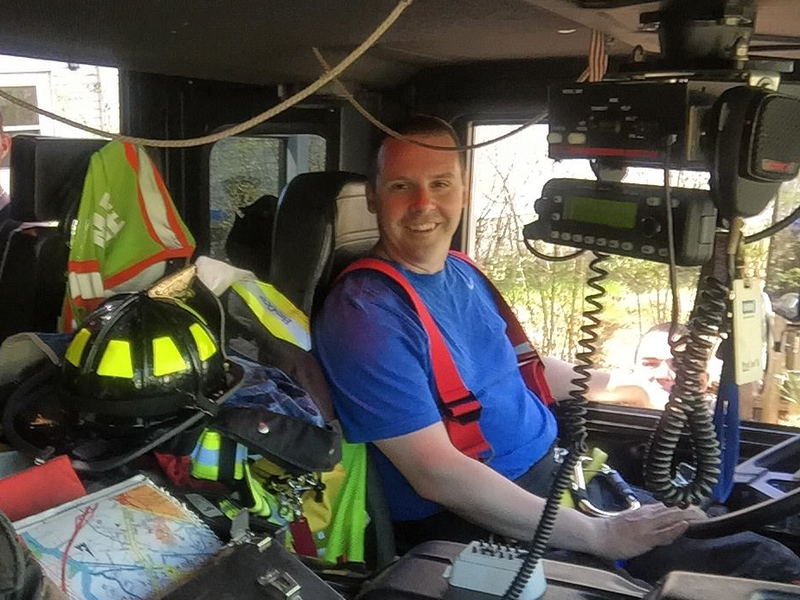 Chris Halloran is also a volunteer firefighter in his home community!